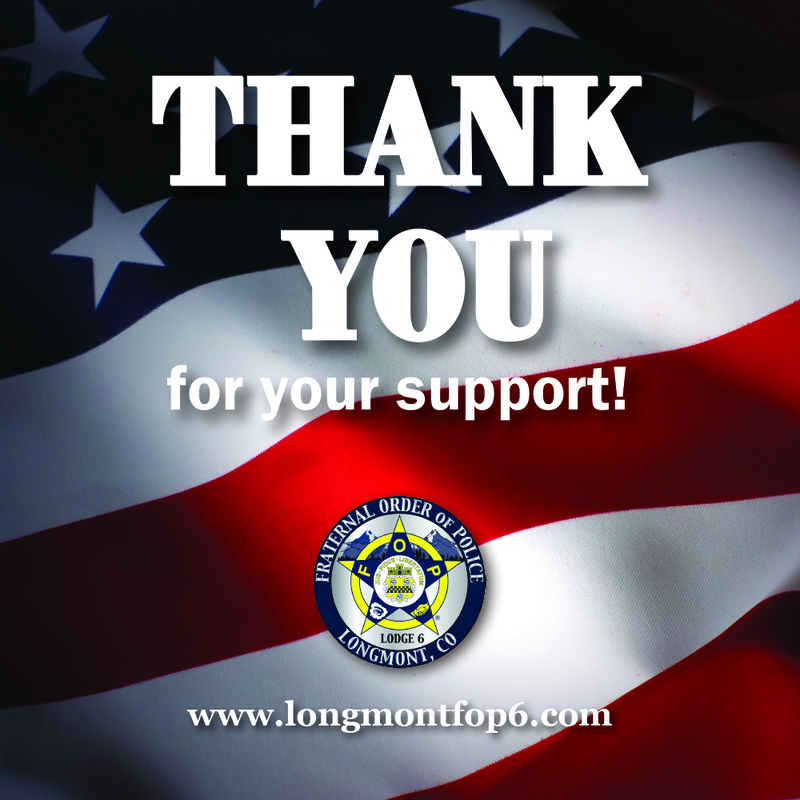 The Longmont Fraternal Order Police Lodge 6 would like to thank YOU for your donation, time and committed support during our “Support The Badge” fundraising campaign. Your generous donations will help us support our critically injured officers and their families. To subscribe to the LFOP E-Mail list, please fill out the information below and select "Subscribe".